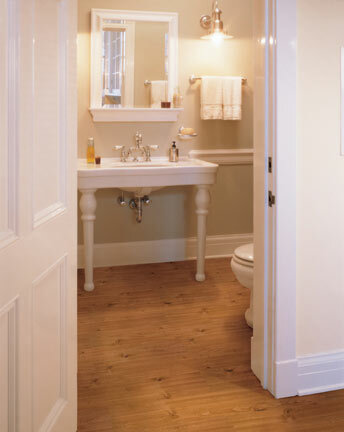 The lighter shades of wood are offered in Hemlock, Spice and Dark Pine. All selections are 6" wide for a more casual look. Click here for more information about Nafco Vinyl Flooring.